When it comes to a Powerstroke engine, there are several oil requirements that must be met. If you have a vehicle that is a model 1999 to 2003, you will benefit greatly from this information. Each of these models should have a 7.3L Powerstroke diesel engine. When the time comes to change your oil, you may wonder about the price. If you have a high-performance vehicle, chances are that your final cost will be on the expensive side. You could be paying anywhere from $50 or more to have your oil changed at any given service station. You will usually receive at least four gallons of oil and maybe have a quart to spare. should avoid being used. Make sure that you keep this information in mind because using such products could cause extensive damage to your engine. A lot of people have chosen to use Shell Rotella 5W40, which is synthetic motor oil. This oil is great to use during any time of the year, but is especially great when the cold months roll around due to the starting advantages. The 7.3L Powerstroke engine is one that requires at least 15 quarts of oil to change it properly. Two quarts will remain in the filter and thirteen quarts will be for the crank case. When you are purchasing oil for this type of engine, you need to be aware of the severe and normal usage instances. this means that your oil should be changed every 3,000 miles. It is very simple to replace an injector on your Ford 6.0L engine. First, you should gather the necessary tools. 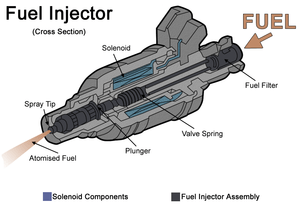 You’ll need an Injector Release Tool, that can be found at any Ford dealership and most auto supply stores. You’ll need a High-Pressure Supply Tube Remover, also available from dealerships and most auto parts stores. You may also wish to have some 15W40 motor oil on hand, as well as some brake cleaner. After you gather the supplies, it’s time to get to work. Start by removing the valve cover from your engine. This is a quick and easy process, and simply involves loosening a few bolts. Then you need to disconnect the electrical connector for the actual fuel injector. Following that,you need to loosen the crankcase-to-head tube assembly, then position the crankcase-to-head tube and separate the tube. Once this is done, allow the lower section to go back down.Then remove the bolts and the high-pressure oil rail. Then you can remove the crankcase-to-head tube and inspect the D-ring seals for any type of damage. If you notice any damage, you should replace the crankcase-to-head tube.You should also remove the port plug from the high-pressure oil rail and inspect theO-ring seals for damage. Again, if you notice any damage, replace the port plug. After these steps are complete, it’s time to remove the injector itself.Using the Injector Release Tool, push the fuel injector electrical connector out of the rocker arm carrier. Then insert clean shop towels in the oil drain holes adjacent to each glow plug. Then you can loosen the bolt and remove the bolt and fuel injector hold-down assembly and the fuel injector itself. A few notes to keep in mind when doing this project: When you are completing this job, you should always ensure that you NEVER remove the oil rail end plugs or acoustic wave attenuator port fittings, as service parts are not available to support these components.You should also never use air tools, as they can damage the components that you are dealing with. And make sure you account for all snap rings and replace them properly when putting the engine back together. Missing snap rings can cause irreparable engine damage. In addition, if you find engine coolant in the combustion chambers, it may be necessary to install a new injector sleeve. A driver supplies the proper voltage to the solenoids on the fuel injectors of a Ford Powerstroke Engine. The 7.3 Ford Powerstroke Diesel uses an Injector Drive Module (IDM). The voltage provided by the IDM is critical to the performance of the fuel injectors, and therefore, the engine itself. You should be aware that the 6.0 Ford Powerstroke diesel utilizes an Injector Control Module (ICM). Prior to 1999, these engines used a 110 volt driver. The 1999 and newer engines utilize a 120 volt injector drive module. This voltage is crucial to the performance of the fuel injectors, and thus, the engine itself. The part may interchangeably be called a Fuel Injection Control Module (FICM). You can reach the IDM through the driver’s side fender. You will need to remove the fender liner to get to the IDM. Due to its location in the wheel well corrosion is oftentimes a problem. You should check the connections for any corrosion at this time. Problems resulting from a defective IDM producing low voltage can be challenging to pin down. The engine may still run, but not run well with low voltage. When the voltage reaches a minimum, the engine will stop. You may check the output voltage on the ICM by removing the bolts on the cover. Once the cover is off, use the screw under the cover as the positive. When checking the IDM it is also a good opportunity to check for corrosion in and around the IDM, its connections and at the wiring harness. To check the condition of the harness, pull on it slightly while the engine is running. If you notice a change in the engine’s operation when you tug, it is likely there is a problem with the harness. The only fix for a bad harness is to replace it. 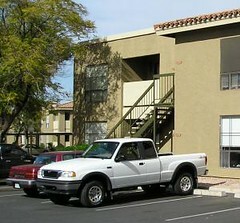 The Ford Powerstroke Diesel has been a highly popular truck. A lot have been produced and sold. 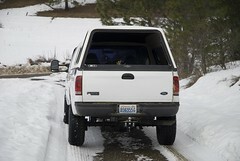 Ford Powerstroke parts enhance its performance and lengthen its life. Think of your Ford vehicle as a winning athlete. Certain power drinks and powders that provide essential amino acids and proteins can enhance muscles for a powerful athletic event or workout. Genuine Ford Powerstroke parts like the fuel injector, high pressure oil pump and glow plug are important to keep your Powerstroke Diesel in the very best running condition. Designed by Caterpillar, the Ford Powerstroke fuel injector system functions with hydraulic oil pressure from a high pressure oil pump. 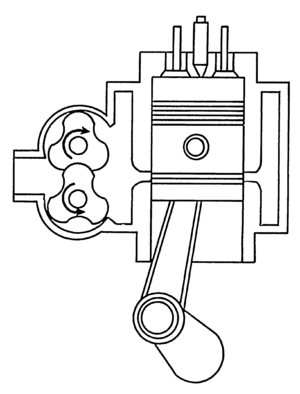 A high-tech design sends signals to an injection control pressure regulator, forcing it to open or close. This action regulates the volume of pressure of oil sent to the oil galleries. The fuel lift pump, fuel injector and the Ford Fuel Injector Control Module work together to provide smoother, more efficient combustion. Ford’s high pressure oil pump is an integral part of the High Pressure Oil Control system that actuates the HEUI fuel injectors. It works along with a high pressure oil reservoir, sensors, regulators, high pressure hoses and oil rails in the cylinder heads. Powerstroke glow plugs are like spark plugs on steroids. They provide a powerful spark that ignites fuel and air in the combustion chambers. Over time, age, heat, gasoline and oil contribute to their wear. Keep them changed every 30,000 miles for optimal performance and fuel economy. The mighty Ford Powerstroke depends on the hi-tech fuel injector system, high pressure oil pump and glow plugs to run a good long race. A standard oil pump leak is not much to worry about until a half quart of oil has to go in every other day. With a high pressure oil pump leak, you don’t have that option to wait because the amount of pressure required to keep up with the engine lubrication process can’t slow down or it could ruin the entire engine. Most Ford trucks that run on diesel fuel will require at least one high pressure oil pump fix during the life time of the truck. Ford may recommend that you buy their leak fix kit because it’s their truck, but for experienced mechanics, this is the worst suggestion. Ford only sells you three O-rings and instructions and you have to buy the hoses and plugs separate. That alone will cost you more than four hundred dollars to fix if you buy all the kits and parts from Ford. Seasoned mechanics and do-it-yourselvers suggest that since most of the engine parts Ford puts in their trucks are foreign built anyway, buying a foreign HPOP kit is a much better deal. You still have to buy the hoses separate, but for one third of what Ford Motor Company charges. The actual pump repair kit here comes with three O-rings, a standard plug and a plug with extended threads and the instructions. It’s twice the price of the three O-rings kit that Ford will sell you, but the additional parts are something you would have to buy anyway. Again, Ford charges even more for that. The whole procedure works the same if you were planning on replacing the HPOP itself. If you’re at least familiar with how this works, then once you have removed the HPOP itself and inspected it, you can turn out the contents of your kit and get to work on the area where the leak seems to be springing from. You can test the new parts for leaks with air, but that’s another job for another time. Make sure the old oil is cleared away from the area of the suspected leak so if new oil leaks you can see the trouble spot. Reconnect the pump to the engine and start it to get oil going through. (Don’t forget the oil; this is a step in “replacing the HPOP”). If you don’t notice any more leaks, good job! You did it! Early style ICP sensors have become a hot topic lately as many older models have found themselves in need of a replacement. Installing new sensors is not too difficult and should only take 1.5-2 hours using this guide. First you’ll need a 5C3Z-12224-A connector, and a SC3Z-9F838-EA Sensor, and basic tools, it’s best to buy these new in box so you know they work. After you have the parts you need, you’ll need to determine what part you need to remove from your vehicle in order to gain access to the sensor. In most common applications this includes the air filter, degas jug, rear studs on the manifold for the intake, and possibly the FICM. After those are safely removed and placed out of the way you’ll have an exposed ICP sensor. Using a right angle pick of sufficient length you need to first remove the ICP sensors connector. Pull it out of the way so you have room to work around it. Then using an extension like the 1 1/16th crowfoot and possibly a swivel and tongs, you can remove the old sensor right by where the rear intake stud for the manifold used to be. This part can be tricky because the old sensor and wires may be very slick with old oil. After that you’re ready to install your new ICP replacement sensor. You want to install it just the way the other one was inside the housing, but this time be sure to install your connector wires as close to the sensor as possible. You’ll need to trim them up so no loose wires can make contact with any other hot parts of the engine, trimming your replacement wires the same length as your older ones could work perfectly, or you might need to make some slight adjustments. Most Ford Power Stroke Diesel engines have fuel injectors which are the primary fuel delivery system for your vehicle. If you experience any problems, you can replace the existing fuel injector with the remanufactured Bostech DE002 fuel injectors. These injectors where made specifically for 6.0L Power Stroke Engines made before September 2003 for 2003-2004 Ford vehicle models F-250, F-350, F-450, F-550 as well as for the Ford Excursion. Removing The Old Fuel Injector Before starting on this project, you will need three special tools: quick disconnect tool (303-625), quick release coupling – disconnect tool (303-755), and the injector connector – release tool (303-1115). Never use air tools to remove the Ford’s fuel injectors. This can cause the injector clip to dislodge and fall into the oil drain hole. You should also have shop towels and clean engine oil ready. Check your Ford owner’s manual to ensure these steps can be performed on your particular vehicle. Step #1: Remove the valve cover and disconnect the electrical connector on the fuel injector. Step #2: Using the quick release coupling-disconnect tool (303-755), place the tool on the supply line for the high pressure oil rail. Disconnect the line. Step #3: Remove the bolts to the high pressure oil rail and carefully lift the rail away. You do not need to drain the fuel rail. Step #4: Use the quick disconnect tool (303-625) to disconnect the other end of the high pressure oil supply line. Remove the line. Step #5: Use the injector connector-release tool (303-1115) to push against the electrical connector of the fuel injector until it is out of the rocker arm carrier. Step #6: Place the clean shop towels into the drain holes next to each glow plug. Remove the fuel injector assembly. Before installing the new fuel injector, ensure you have all new O-rings and a copper washer. Inspect the fuel injector for damage. If the oil inlet D-ring shows signs of damage, you will need to have a new fuel injector. Step #1: Place on the new copper washer and O-rings to the fuel injector. Lubricate the O-rings and injector with the clean engine oil. Step #2: Install the fuel injector in place as you tighten the bolt and hold-down. Step #3: Take out the shop towels from the drain holes and place the fuel injector’s electrical connector back into the rocker arm carrier. Step #4: Lubricate the top of the fuel injector’s O-rings with the clean engine oil. 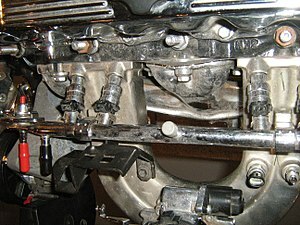 Step #5: Place the high pressure oil rail back inside as you hand-tighten each bolt. Step #6: Use the quick release-coupling tool to tighten the bolts. Tighten two of the bolts on the one side and one bolt on the other side. Then alternate from one side to the other to tighten the last of the bolts. Step #7: Reconnect the high pressure oil line and the fuel injector’s electrical connector. Install the valve cover to finish the installation.